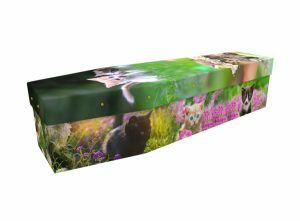 Did your loved one have a particular affinity for animals or wildlife in general? 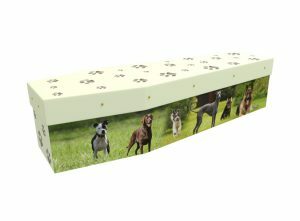 Perhaps they adored their pet dogs or cats, or worked with animals during their career? 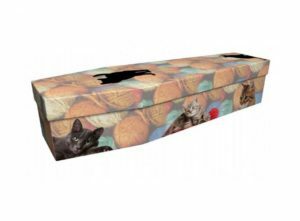 If so, an animal themed cardboard coffin might be the perfect tribute. 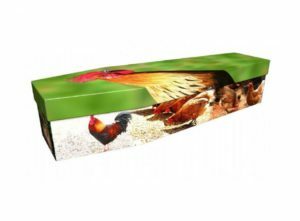 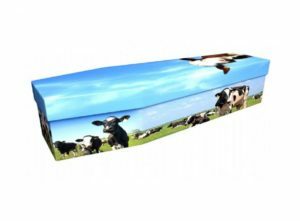 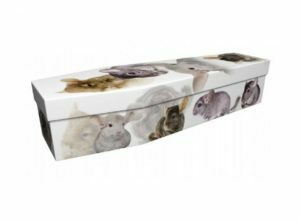 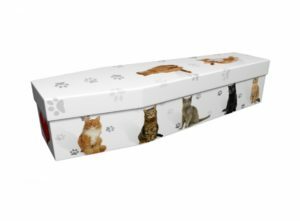 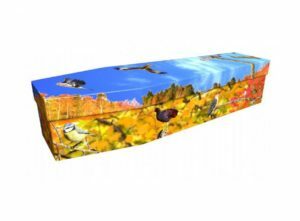 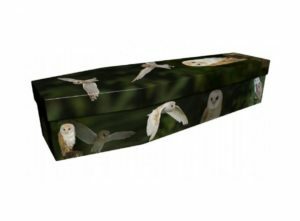 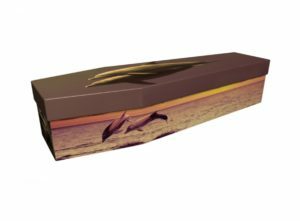 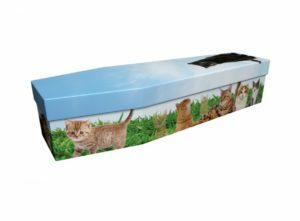 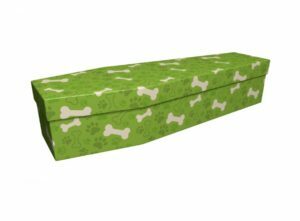 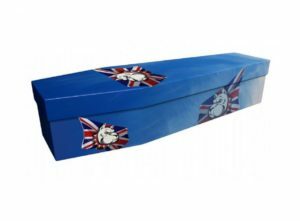 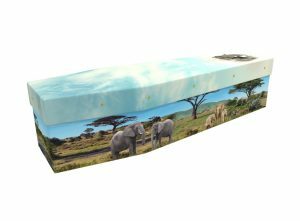 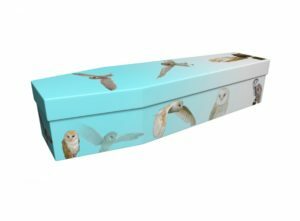 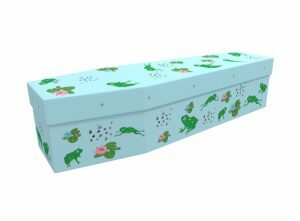 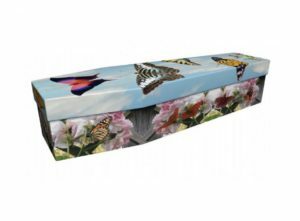 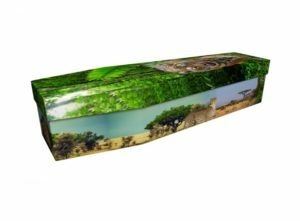 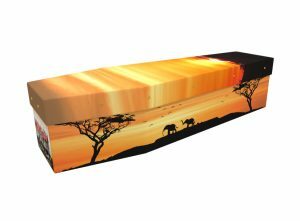 Whether you require a coffin with subdued scenery, a lyrical animal-themed coffin, or a cute animal coffin, our experienced design team will be able to help you. 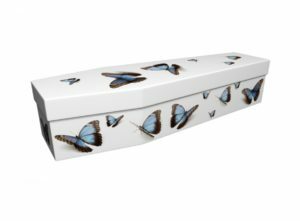 You can provide us with as much creative input as you want. 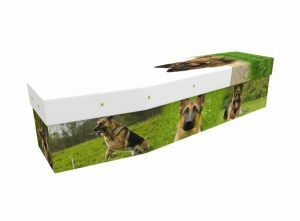 Equally, you can give our design team a looser idea of what you want, and they will be happy to produce a design. In most cases, we will deliver a visual proof of the animal-themed coffin within 24 hours. 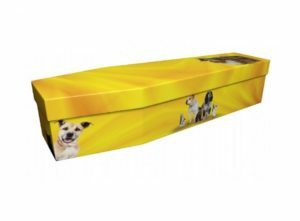 You can then request any changes. 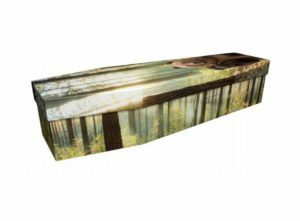 Once you are happy with the final design, we will set about producing the cardboard coffin, and in most cases will have it delivered to you within 72 hours. 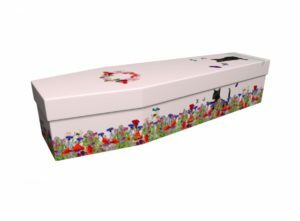 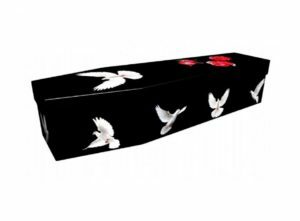 We will strive to produce a coffin that reflects and celebrates the life of your loved one.